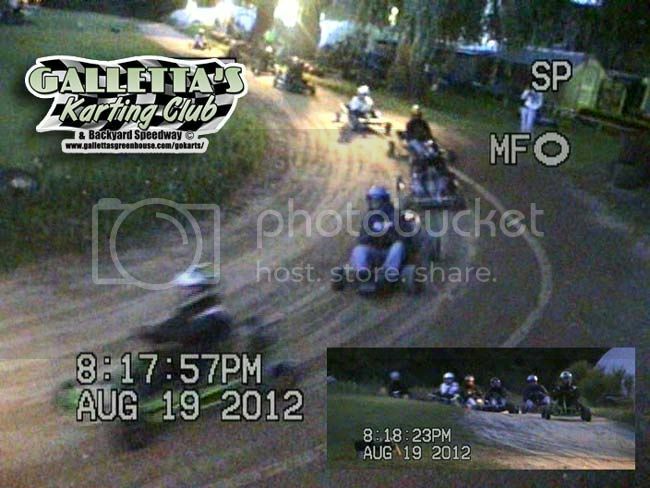 Galletta's Greenhouse Karting Club | August 19th, 2012 - Chris' On A Tear 45-Lapper | Town of Oswego, NY! 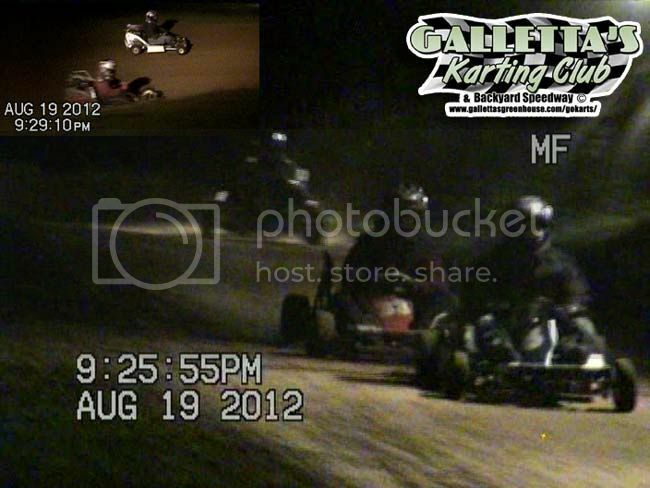 Six lead changes between Ruggio, Woolworth, Spanfelner, and Chris Stevens, with the twenty-year-vet brothers Chris and Matt had several back and forth battles coming up through traffic, along with a handful of small wrecks - one of which took out the Galletta's #4 and forced Chris into his other kart. 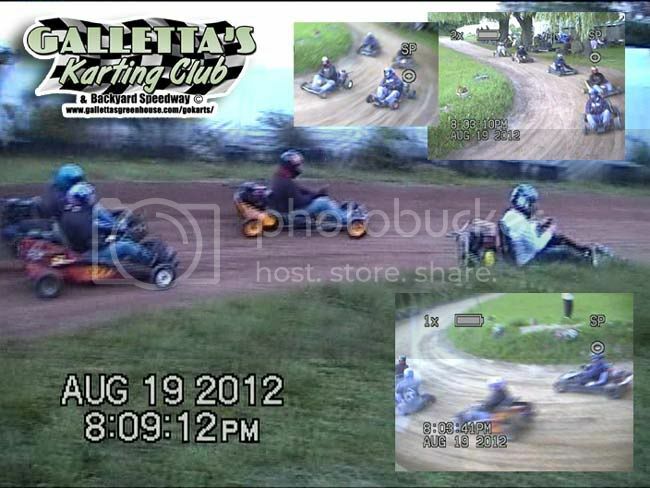 But Chris took the lead late in that Galletta's #8 when a fast D.S. 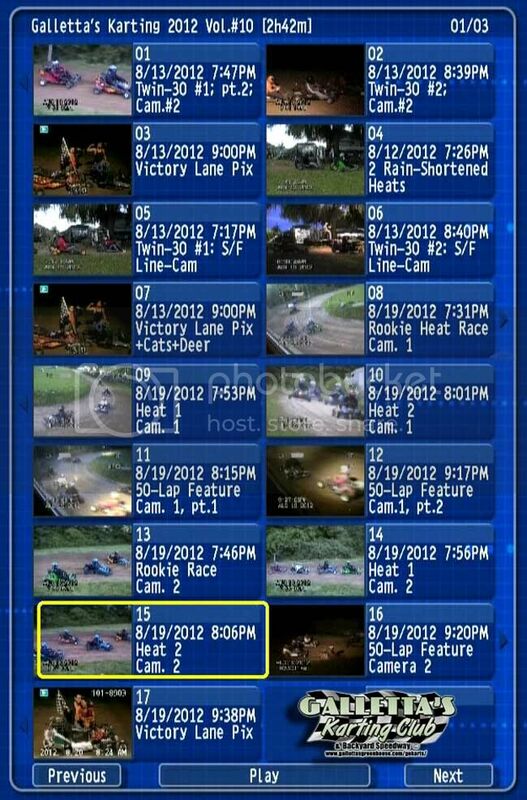 Humphrey's #54 developed sprocket problems in the lead. Matt came up to challenge his brother, and stayed with him for the most part, but not enough for a decent shot at a pass. 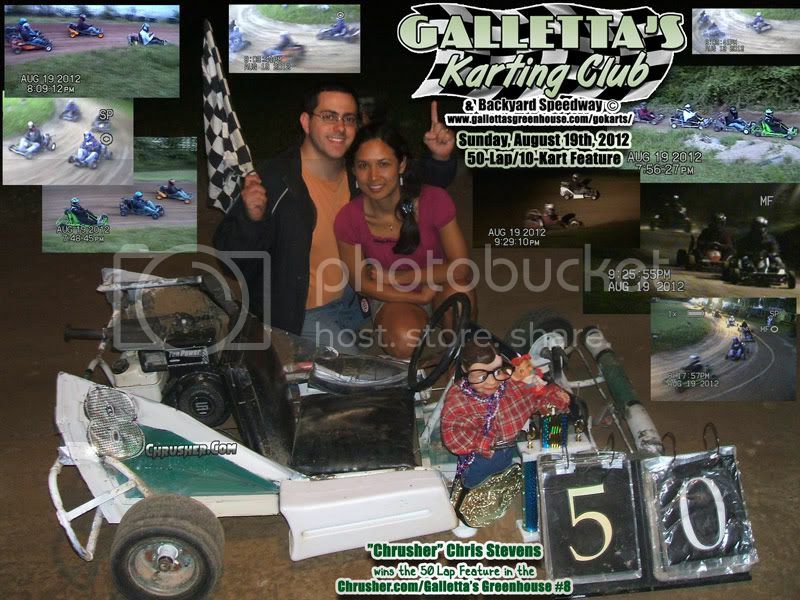 Winner of the 50-Lap, 10-Kart Feature Race on 8/19/2012 was Chris Stevens in the Chrusher.com/Galletta's Greenhouse #8! Matt Stevens started the year with four straight wins, but Chris has repeated this streak with four wins in four events (although a few others also got wins via Twin-30s). 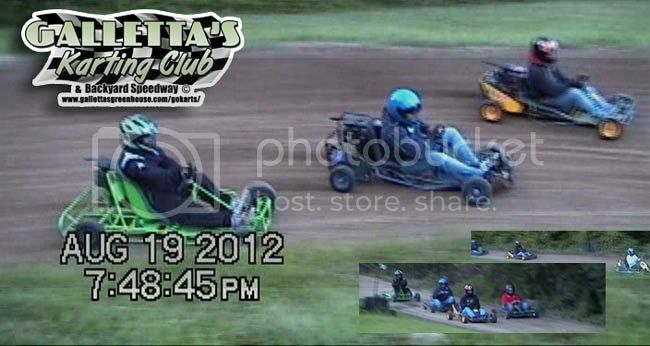 He's closed in on Matt, but he still has a points lead, not to mention two more wins. Hopefully more experienced drivers will show up on raceday to slow the brothers down and get some different people in victory lane, otherwise it will be those two every week and the rookies won't be able to get some 1st-time wins in. ..and finally, last place... YOU! 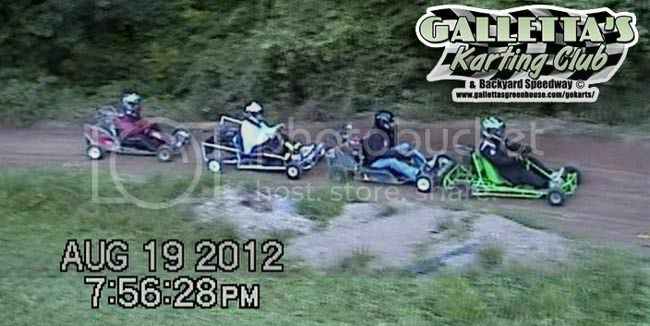 The people who read this, didn't race with us but can race with us, and don't. Loser! Haha!